Since we didn't have any strawberries when I planned to make this recipe, I decided to use pineapple instead. And then, we bought some strawberries, so I used both. :) I also used 2 cups of coconut milk (from the can) instead of a cup of coconut milk and half a cup of skim milk. 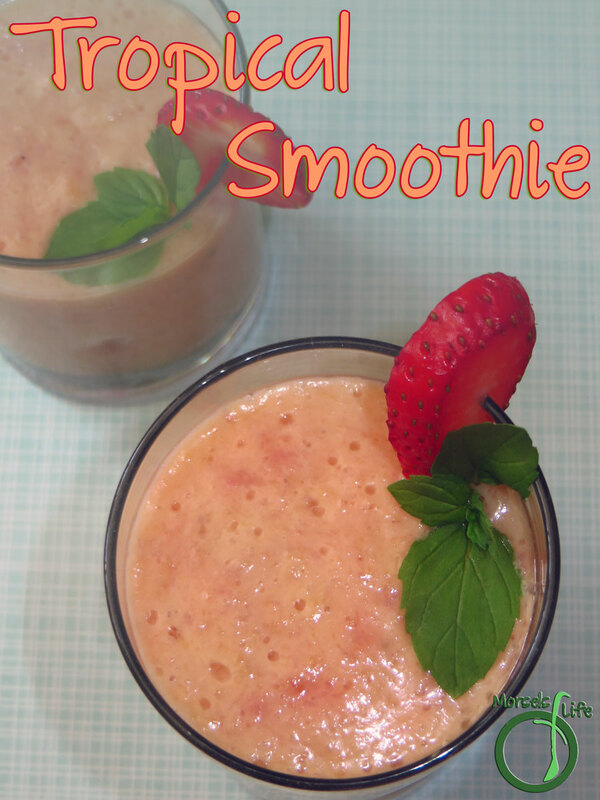 We really enjoyed this smooth and silky tropical smoothie! 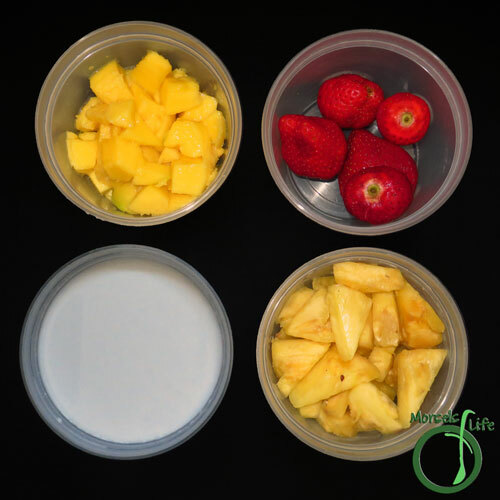 What's your favorite tropical or summer fruit? 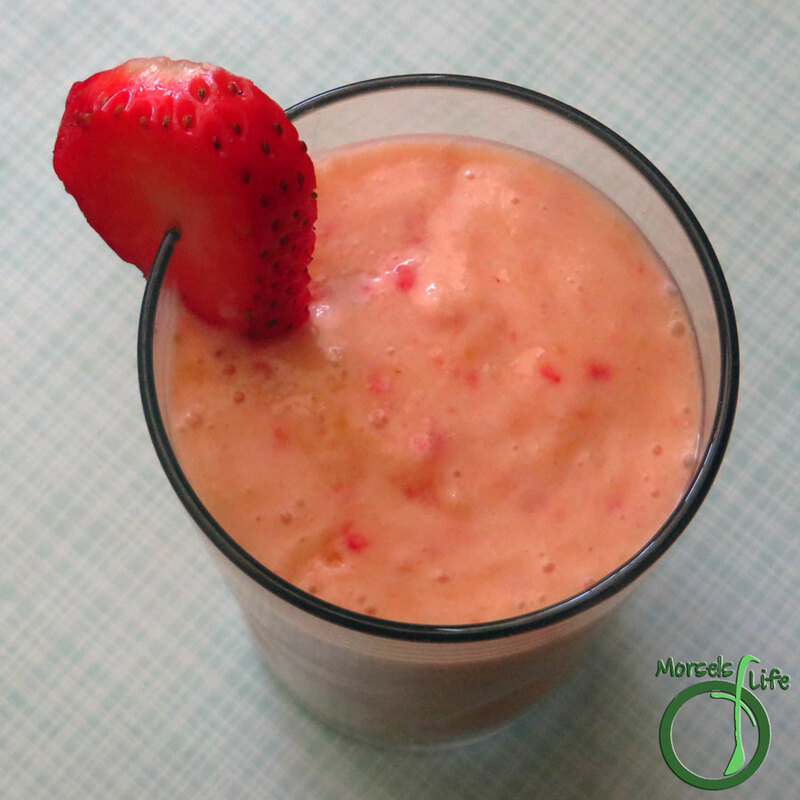 Imagine yourself relaxing in paradise with this luscious smoothie - full of tropical flavors like mango, pineapple, and strawberries in a coconut base! 233 grams 8.25 ounces pineapple chunks Learn how to cut a pineapple here. 206 grams 7.25 ounces 1 mango Learn how to cut a mango here. 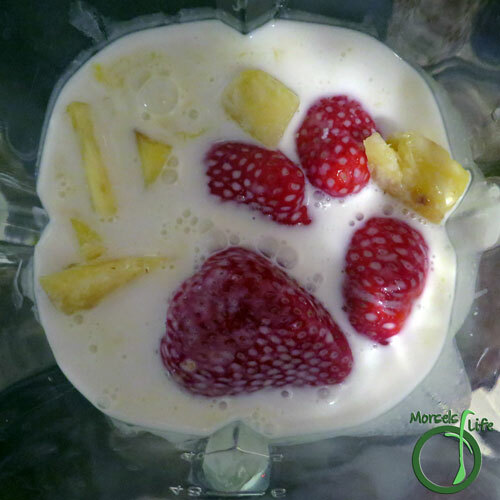 405 grams 14.125 ounces 2 cups coconut milk I used the canned kind. 2. Combine all materials in a blender and blend until desired texture achieved. Thank you so much for linking at #WonderfulWednesday! I look forward to seeing what you share every week. Please come back for #OverTheMoon on Sunday night or the #RecipeShareParty where we YUM. Don't forget to comment your link #'s so I can be sure to visit and you get a chance to be featured! 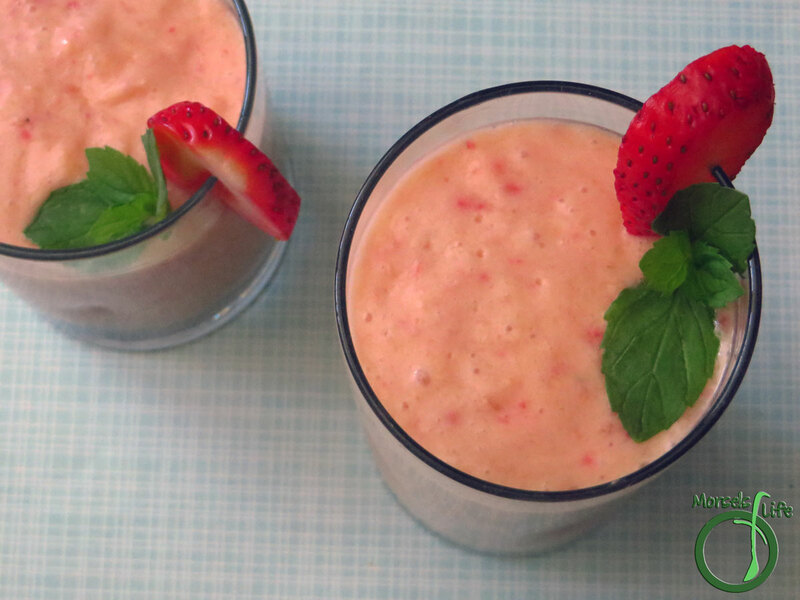 This smoothie would be a great start to any day! Thanks for linkin' up with What's Cookin' Wednesday! Thank you for sharing at #OverTheMoon! Pinned and tweeted. What the hay, I yummed it since I loved it so much!